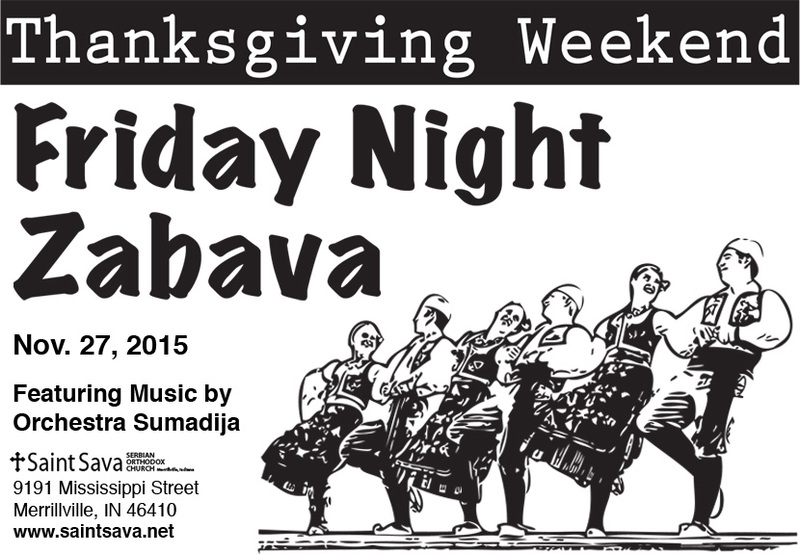 Srbadija Folklore Group of St. Sava Church in Merrillville, IN will be among several groups performing at the “Tromedja” Folklore Festival taking place Saturday, Nov. 7 at St. George Serbian Orthodox Church in Schererville, Indiana. The festival begins at 5:30 p.m. and it is hosted by Folklore Group “Tromedja” from St. George Serbian Orthodox Church. The festival will take place in the Halls of St. George. 905 East Joliet Street, Schererville, Indiana 46375. This fantastic program will feature folklore groups from all over the Chicago and Northwest Indiana area. Great Serbian food and desserts for sale. DJ SPAZ will be providing music for the after dance. Admission is free for Folklore Performers, Adults $10.00, 13-17 $5.00, 12 and under free. This performance at the St. George Folklore Festival by Srbadija of St. Sava will represent another showcase of St. Sava youth talent. Recently Srbadija performed at the Valparaiso Wold Culture Fest in mid September, a special performance in San Francisco, California in early October and most recently at the Gracanica Folklore Fall Festival which took place Oct. 24.